Product #20453 | SKU 1SKB-D1822 | 0.0 (no ratings yet) Thanks for your rating! 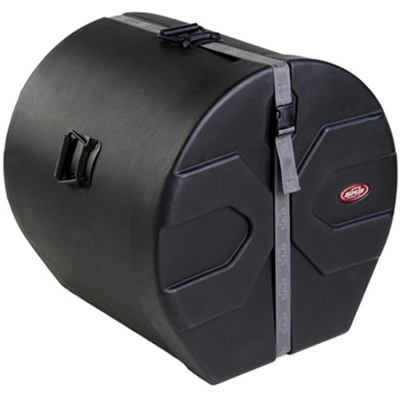 The black 45.7 x 55.9 cm Bass Drum Case from SKB is a tough-minded, durable case for your valuable drum. It's manufactured to accommodate one drum within its rotationally molded polyethylene frame and protect your instrument both inside and outside. The exterior is a hard shell, D-shaped design and accented with SKB's Roto-X molded pattern that allows you to stack similar cases. The inside is padded to be extra gentle on your drum.